Arcanum High School IEP students, Jason Sturdevant, Liz Cave, Josh Lambert, Hunter Farmer, Sheldon Bates, Leahvi Halderman, Austin Bailey and Lucas Bailey along with their teacher, Eric Weibel came to the Nature Center to help decorate again this year. 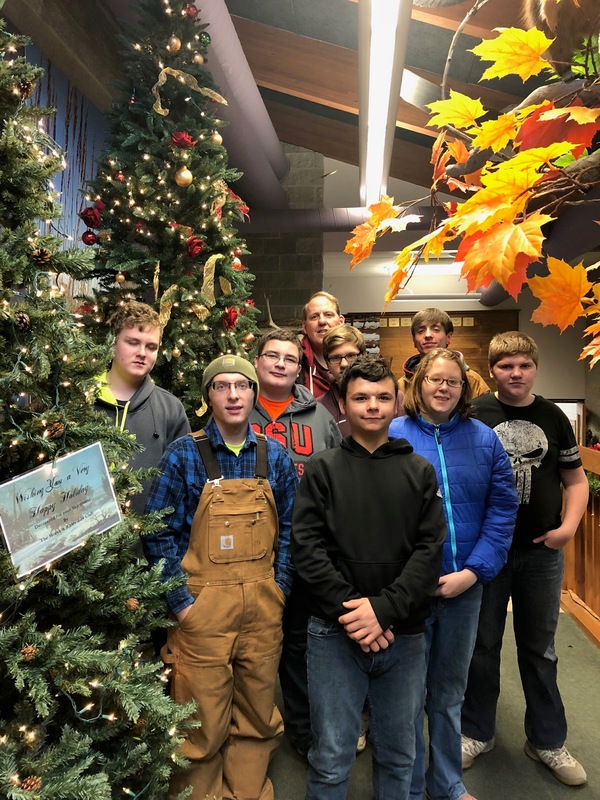 The Darke County Park District appreciates all the help it receives in getting the Nature Center ready for the Winter Wonderland event that was held on December 1. Administrative Assistant Deb Shiverdecker commented, "This group of young men and women are a joy to have each year as they do their community service so willingly. They make me smile!"